Cruises are making a comeback. Once considered the domain of “the newly wed and the nearly dead,” major cruise lines have recently doubled down on marketing the cruise experience towards younger generations. As of 2018, the median age of the average cruiser has dropped to 42, down from 47 in 2017 and 56 in 2002. In order to provide a comfortable entry-point for first timers, the industry has seen the rise of celebrity ambassadors, sip ‘n sail packages, themed cruises and luxury options. If you’re headed to the high seas for the first time, here’s what you need to know before hopping on board. Feel like the room you’re standing in is tilting? That’s because your inner sensory system needs time to adjust to standing in a constantly moving environment —and until it does, your body’s muscles will go into survival mode trying to keep you upright. Don’t get concerned if you experience a little rocking and rolling during the first 48 hours onboard, but if you’ve experienced nausea on moving transportation before, consult a doctor about which seasickness medication may be wise to pack for your trip. 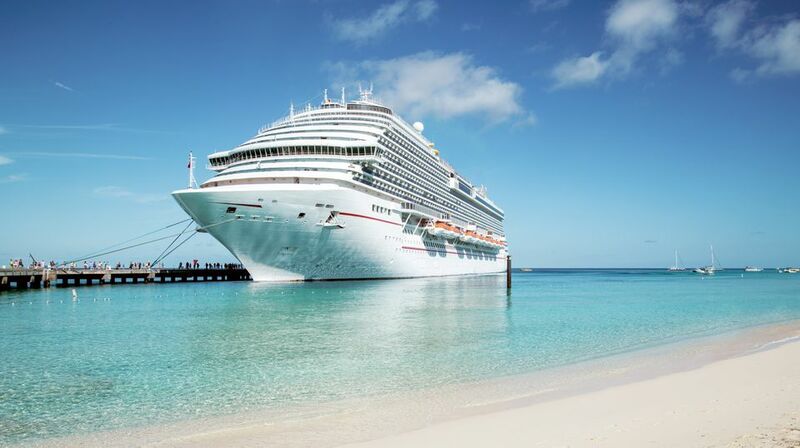 If you’re cruising on a Princess or Carnival cruise, you’ll be using a thin, magnetic card to access your meals, drinks and — most importantly — your room. Commonly referred to as a “cruise card,” this will serve as your badge of identification during your time on the ship, and it will be scanned by cruise staff daily. There’s one catch — the card will immediately demagnetize when placed next to your phone, or even a pair of AirPods. In order to avoid spending your entire cruise locked out of your state room, make sure to keep it in an electronics-free place. With thousands of people contained in a tight space for a week or more, an outbreak of illness could spread fast — and take all the fun out of a long-awaited vacation. Due to this, don’t be surprised to see cruise staff take extreme precautions against the spread of norovirus on the ship. Several cruises, including Viking and Princess, ask cruisers to line up and wash their hands with a sanitizing liquid before entering any dining hall on the premises. Expect to see signs and hear constant reminders about the importance of hygiene throughout your cruise. Don’t rely on just the buffet. Most ships have a variety of food offerings that you may not know about — unless you do the research. Your best bet is to consult the daily bulletin that will arrive in your state room’s mailbox every evening, which highlights all activities and offerings on the ship for the next day. Along with listing hours of operation at the ship’s dining areas, this newsletter will also be your go-to resource for knowing when and where you can find more exciting culinary options, like cultural theme nights or special events hosted in different venues on the ship. You may think you signed up for unlimited margaritas — but make sure to read the fine print first. Cruise line drink packages run the gamut from completely all-inclusive to not very inclusive at all. Several of the most basic options don’t include things like “specialty coffees” — which means you’ll have to pony up for that chai latte — and some packages don’t include coffee at all (you’ll need to purchase a separate coffee card for that). If you’ve purchased an unlimited beverage package including alcohol, take note that most drinks packages only include beer, wine and cocktails by the glass —which means you won’t be popping bottles in your room unless you order them separately. The majority of cruise lines charge for internet usage in time bundles — usually in the range of 40 to 75 cents per minute — meaning that a simple mistake, such as forgetting to log out of the wifi portal after checking your email, could eat up all of your internet time for the rest of the cruise. Several cruise lines like Carnival, Royal Caribbean, Disney and Princess also offer packages by the megabyte, which may be a better and more affordable choice for those who primarily want to access low bandwidth apps like Facebook and Instagram. However, don’t expect to be able to upload numerous photographs or stream Netflix until your ship arrives onshore — satellite internet at sea won’t be able to sustain the bandwidth they require. Don’t panic. Similar to the hotel industry, the majority of cruise lines - including Princess, Royal Caribbean, and Carnival - don’t include a 13th floor deck, so don’t be alarmed if your elevator goes directly to deck 14 from deck 12. Worried about going overboard after hitting a giant whale? Take a deep breath. All major cruise lines have a “whale protocol” in place, meaning that the ship’s entire crew is trained on ways to avoid run-ins with the large mammals. Before every trip, Princess Cruises’ crew is trained on ways to reduce speed in the event of a whale sighting, effectively treating the whale as it would another ship in traffic. While taking advantage of amazing excursions is a fun part of any cruise experience, in order to really get a feel for the region you’re cruising through, it’s worth sitting at least one out. Most excursions last several hours, and if they coincide on a port day in a city or town you want to explore, the chances of you having enough time to check out the local flavor is low. Another alternative? Choose an early morning excursion that leaves you plenty of time to take a stroll or grab lunch in your port town before heading back on board. Whether you’re cruising through the Caribbean or the Arctic, you’ll be getting unique access to destinations that you may not be able to see from land. When your ship slows down to take in your surroundings, don’t be the only person on deck without a pair of binoculars — you’ll kick yourself later for missing out on the jaw-dropping views.